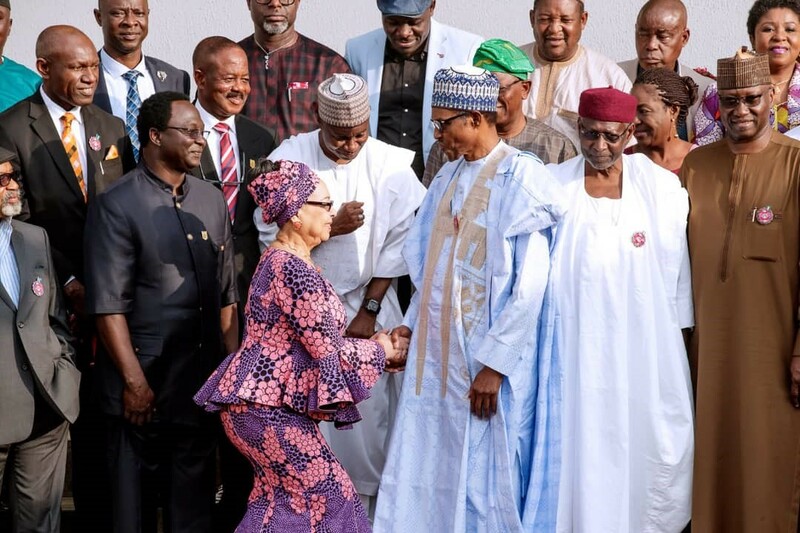 The Committee Chairman, Mrs. Ama Pepple exchanges a handshake with President Muhammad Buhari. 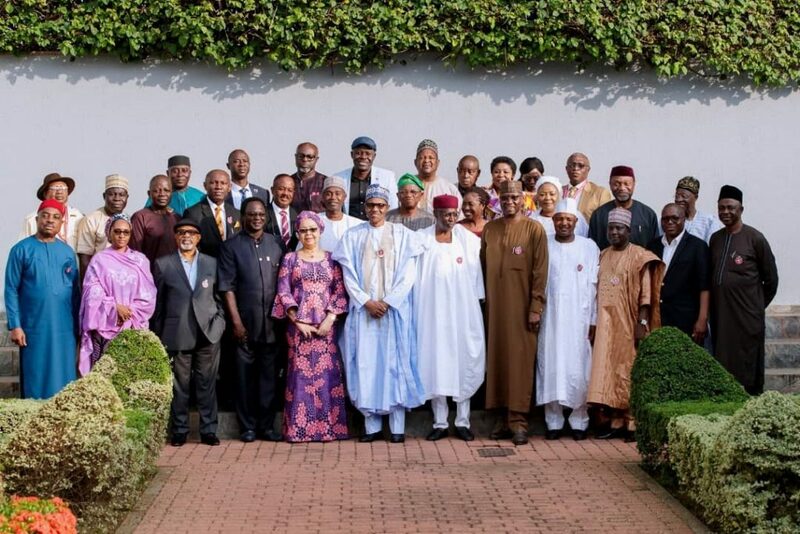 Director-General Designate, NECA, Mr. Timothy Olawale (2nd from left, last row) and Chairman, Committee of Human Resources and Learning Experts, NECA (4th from left, middle row) pictured with President Muhammad Buhari and other members of the committee. 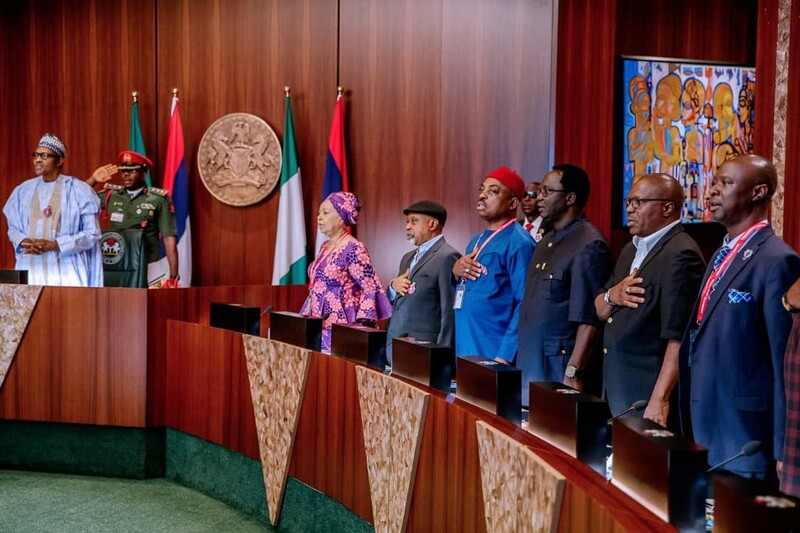 President Muhammad Buhari receiving the report of the Tripartite Committee on the National Minimum Wage from the committee chairman, Mrs. Ama Pepple. 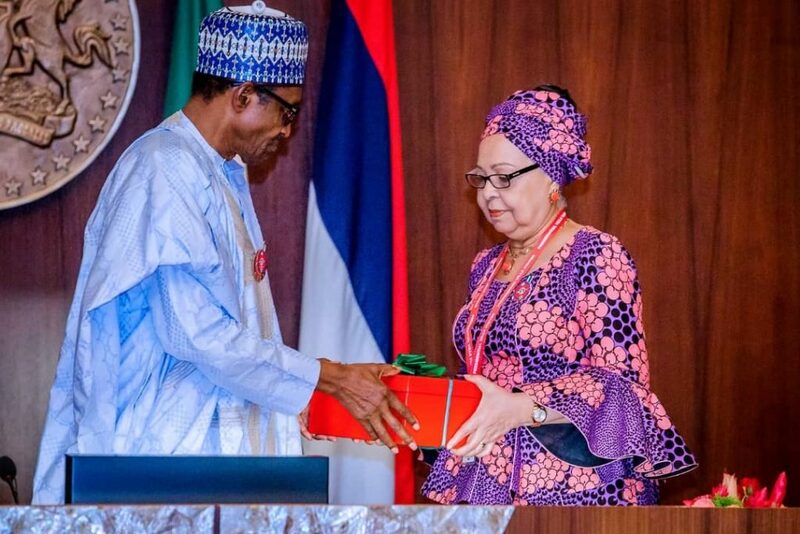 (L-R)- President Muhammad Buhari, Chairman, Tripartite Committee on the National Minimum Wage, Mrs. Ama Pepple, Hon. Minister, Fed. Ministry of Labour & Employment, Dr. Chris Ngige, Chairman, National Salaries Income and Wages Commission, Chief Richard Egbule, NLC President, Ayuba Wabba, TUC President, Bobboi Bala Kaigama and the Director-General Designate, NECA, Mr. Timothy Olawale.